Here are the top 10 Northern Michigan restaurants with a view to visit for your next Northern Michigan vacation. The following winners were determined by more than 10,000 participants who voted in MyNorth’s 2014 Red Hot Best annual contest. Put on your finest threads, or stop by after a beach day, to one of these Top 10 Northern Michigan restaurants with a view. Find all 300 Red Hot Best winners in 101 categories in the 2014 June issue of Traverse, Northern Michigan’s Magazine. Hungry? 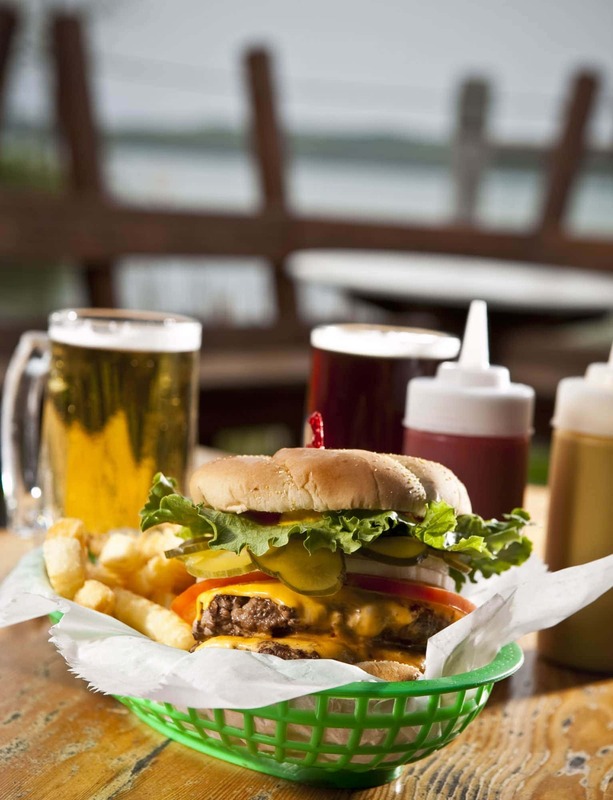 This delicious burger with a view that feeds your soul can be found at the Dockside, overlooking Torch Lake in Alden.